All Olympiad exams be it Science Olympiads or Maths Olympiads test the concepts of a student in a particular subject. In fact, if your child’s concepts are clear then there is no separate preparation required to crack these exams. The DVDs in this pack precisely do that. 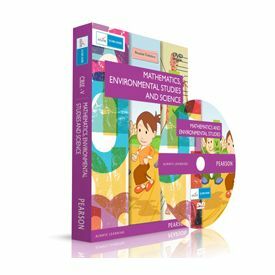 In a highly engaging way, they teach the concepts and also encourage your child to solve various exercises. The methods used ensure that your child retains the concepts for years to come. The activities, exercises and games are designed in a manner that they get imprinted in one’s memory for a longer period of time. 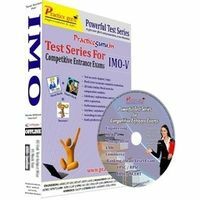 Do click on FREE SAMPLE TEST to get an idea of how this DVD takes the concepts approach for Olympiad preparation. Science: The Nervous System, Bones and muscles, Food and Health, Talking About the Environment, Air, Water and Weather, Characteristics of Living Things, Interdependence in Nature, Soil Erosion and Conservation, Reproduction in Plants, Natural Calamities, Animal Lifestyles, Rocks and minerals, The Moon, Safety and First Aid, Simple Machine.